Periodically, I go to the website for Moon River Brewing Company to sign up for their mailing list. For some reason, I tend to get dropped off the list, even though I'm pretty fanatical about Moon River's brews. We have upgraded to corn plastic to-go cups that are 100% compostable. "We are becoming better corporate citizens and want to be a local leader in the green movement that is sweeping our industry," says Gene Beeco, general manager and co-owner. "We hope that other area restaurants will join us in our efforts, and I believe that in the future recyclable materials may become the law." The brew pub uses 52,000+ cups each year. The new cups cost about 9¢ more each than regular plastic cups. Huzzah! This is environmentalism I can get down with. To understand my enthusiasm in this regard, you have to understand the concept of the "to-go cup," or "go-cup." This is one of the true expressions of a drunkard's paradise; In Savannah, you can walk around with the adult beverage of your choice, as long as it's in a "go-cup." If you're in a bar, and you want to go somewhere else - say, another bar - then you just take your current drink, grab a "go-cup" from the stack (every establishment supplies these...), pour your beer, wine or cocktail into the "go-cup" and stumble on your merry way. I am simply thrilled that the next time I'm in Savannah - hopefully soon - I'll be able to stumble about with a clear conscience as far as the carrier for my beverage is concerned. It's nice to know that said container will eventually compost and assist in the growing of, hopefully, more plants with which to create adult beverages. At some point, girl, you should really just retire to the Riviera or a little Swiss chalet way high up on a mountain. Before you end up worse than the parody of yourself you already are. 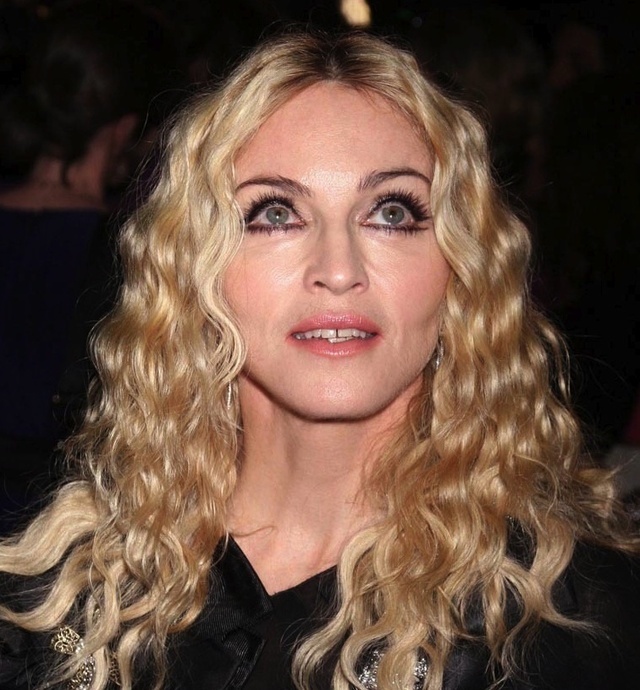 Well, if Hollywood ever gets around to filming, The Madonna Story, they've got someone just as freakish to play the lead. Someone so warped, twisted and damaged that she would define the concept of the perfect typecast. Well, you can't say these guys don't have balls. Balls the size of pickle jars, I'd say. MOGADISHU (AFP) - - The Somali pirates who captured an Ukrainian freighter carrying an arms shipment on Sunday demanded a ransom of 20 million dollars and confirmed that they have been surrounded by foreign warships, a spokesman for the pirates told AFP. "We have only demanded 20 million US dollars," the spokesman Sugule Ali said when contacted aboard the ship via a satellite telephone. "The crew are safe and not harmed; what we are waiting eagerly is the 20 million dollars nothing less, nothing more." He also said that "it is true we are surrounded by three foreign military vessels and there are some others we can see from a distance." Stupid or brave? I'd say mostly stupid. They don't make pirates like they used to. But they do make them, which bothers me a bit. I thought one of the things that the Navy was supposed to do was to keep the sea lanes clear of these scum. I guess the Navy has changed, too. Something to do with a lack of yardarms to hang pirates from, I imagine. LOS ANGELES (AP) — Dave Freeman, co-author of “100 Things to Do Before You Die,” a travel guide and ode to odd adventures that inspired readers and imitators, died on Aug. 17 after a fall at his home in the Venice section of Los Angeles. He was 47. Here's how it works: Every now and then the stars and all the firmaments of heaven align just so, bringing a sublime, yet absurd, convergence into being. I'm thinking this is one of those times. Mr. Freeman’s relatives said that he had visited about half the places on his list(...).